The update is still v7.0, but it's build 3129557 as opposed to 2933449. 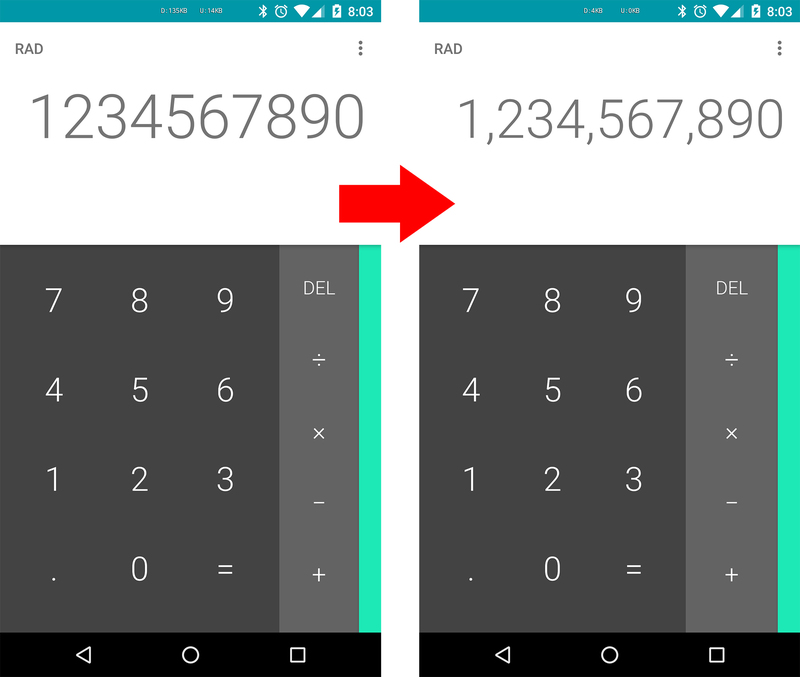 When you enter long numbers in the new version, you'll get commas in the proper places to break the number up. See above for an example, but I'm assuming you all understand the concept of place value. The only other tweak we've seen is that the calculator now hides the overflow button and mode indicator. You'll see these are at the top of the app. They're now only shown when you open the app or tap in the top section. The overflow menu doesn't really include anything important anyway, and most people don't need to be reminded which mode they are in. You can grab the updated app on APK Mirror if you need those grouped digits right this minute. Google has posted the full changelog. Not much to see, but here you go.